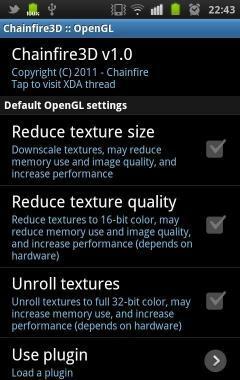 Chainfire3D - Take control over your GPU! Chainfire3D is an intermediary OpenGL driver. What does that mean? It means that Chainfire3D sits between your apps and the graphics drivers, and can intercept and/or change commands between the two. It has some built-in functions, and can be further extended with plugins to provide extra functionality. !! For Froyo and Gingerbread ONLY. NOT COMPATIBLE with Honeycomb/Ice Cream Sandwich/Jelly Bean !! 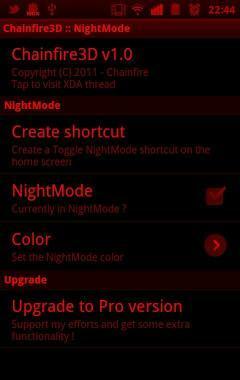 Many users are running Chainfire3D on devices not listed here - it's likely to work on all modern devices. So far nobody has reported a failed install, so that's good. Doesn't mean problems can't happen.